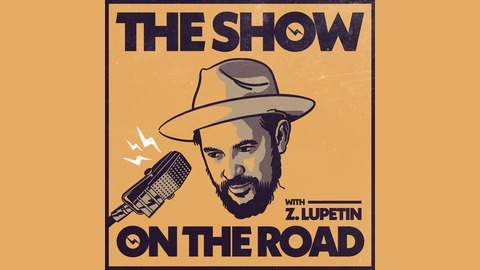 The Show On The Road features interviews and exclusive acoustic performances with songwriters, bandleaders and musicians from around the world. 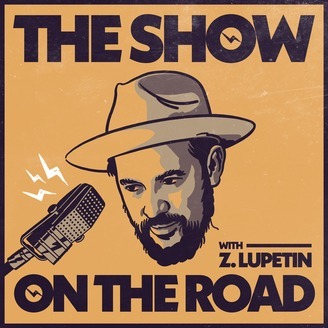 Hosted by The Dustbowl Revival's Zach Lupetin, each episode features a conversation about the real day to day lives of artists and their creative inspirations. This week, a folk-pop shapeshifter who effervescently sings in four languages and has rocked stages on four continents, Gaby Moreno. Born María Gabriela Moreno Bonilla in Guatemala City, she knew she wanted more as a teenager and journeyed to the USA with that big voice and an even bigger dream. She has since lived several lives inside the dark heart of the LA music business, getting signed to Warner Brothers at 18 and then dropped and signed by Epic Records, only to be dropped again by age 20. Why didn’t she give up and go home? Because the dream was a bit bigger than that. Over the last decade and a half, Gaby has put out a series of sonically adventurous and politically fearless English and Spanish language albums that have created an international fanbase which takes her around the world each year. Hop scotching from early jazz to introspective folk to Dap-King assisted soul, Gaby has been filling concert halls from Berlin to Sydney, winning her a Latin Grammy in the process, setting up a dream collaboration on a new album with Van Dyke Parks, and getting her weekly appearances on NPR’s Live From Here as Chris Thile’s secret weapon. She even helped write the theme song to Parks and Recreation. While she may be multi-talented, she is also among the kindest, sweetest souls to be featured on The Show On The Road. Make sure you stick around for a new song she plays at the end and a short story she wrote on the spot about UFO’s and time travel.